Rabbi Dan Margulies is originally from Bethesda, MD. He received his BA in Chemical Physics and Mathematics from Columbia University. 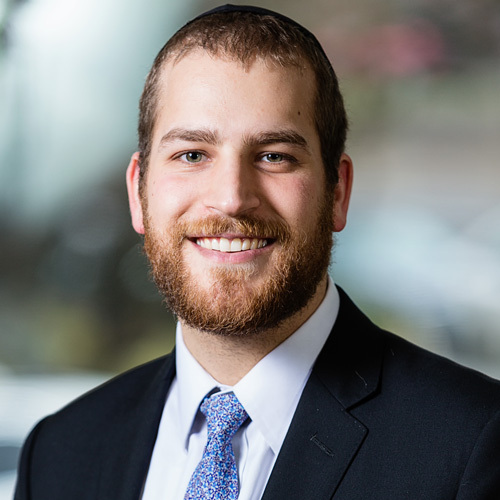 Before attending college he learned at Yeshivat Eretz HaTzvi in Jerusalem, where he made lasting relationships with rebbeim who empowered and inspired him to continue learning intensively. He previously served as Assistant Rabbi at HIR–The Bayit, and on the faculty of Yeshivat Chovevei Torah, the Drisha Institute, and the Skirball Center. While in yeshiva he held internships at the Heschel School, HIR–The Bayit, Young Israel Ohab Zedek, and the Hebrew Home at Riverdale. He and his wife Ilana have a registered therapy dog; they work with local seniors weekly.